Chinese has become one of the most popular languages in the world right now majorly because of trade and interaction. China has a lot of business opportunities making businesses venture out into their market. As a culture, Chinese boasts of a very rich culture because of its traditions and values. That is precisely why people are eager to learn Chinese. The Chinese esteem human beings very highly no matter their status or position in life. 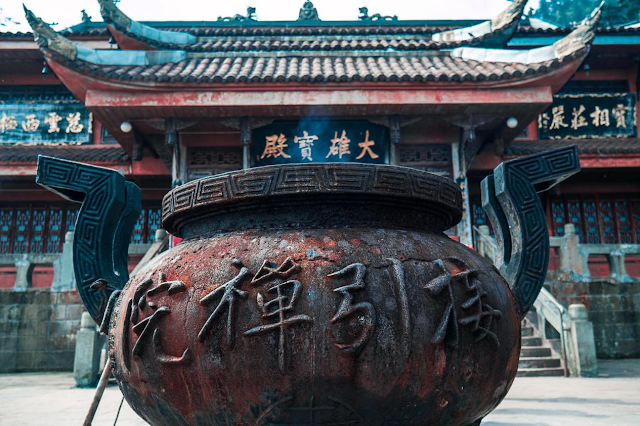 Their culture also puts a lot of emphasis on selflessness as a human virtue, and when you decide to learn Chinese, it is important to understand their culture. China is a tourist attraction area, and tourists mainly visit the country because of its culture and to celebrate its unique festivals. To make the experience unforgettable, most of them learn Chinese. In a quest to enhance their relationships, some people learn Chinese. This is because relationships are of extreme importance to the Chinese. Festivals and family events such as birth, baptism, graduations, and weddings are celebrated to bring people together and honour life. It is ordinary to see different cultures having a Chinese wedding or decorating their houses in Chinese themes because of the belief that their marriage and homes will be filled with love and happiness. Some people learn Chinese for communication purposes. With globalization, people must interact in schools and businesses. The language barrier can be very frustrating and can also cause confusion and misunderstandings. We want to communicate with our Chinese friends and it, therefore, becomes mandatory to learn Chinese. The Chinese society places a lot of emphasis on friendship such that before they engage in business with anyone, they must first establish trust and confidence with their partners. When conflicts arise, they choose to solve it amicably and in peace. Some businesses also choose to outsource some of their functions to China because of cheap labour and flexible laws that promote their businesses. To communicate the instructions and goals of an organization, the responsible department such as human resource or personnel department needs people to learn Chinese. This will save on finances needed to hire an interpreter. If you have a desire to learn Chinese, you need to understand the languages and symbols used. Mandarin is the most common language and knowledge of symbols allows you to know how to write and pronounce them. 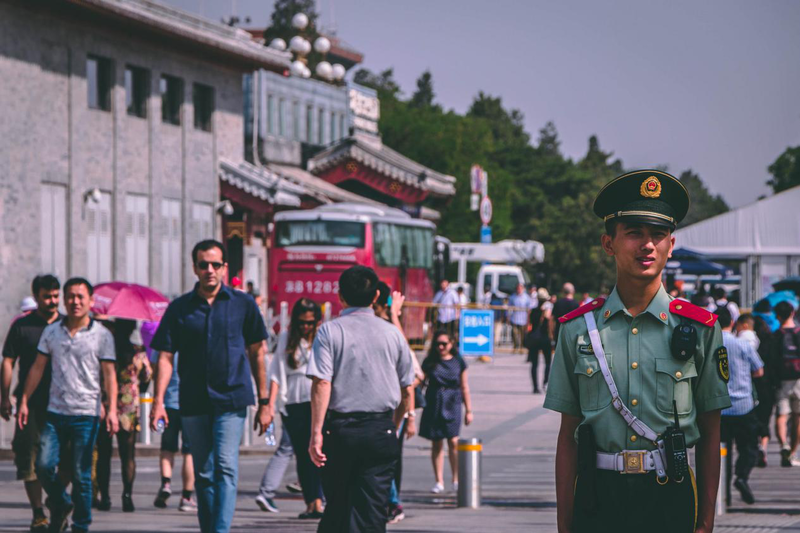 Some people decide to attend Chinese School Beijing not only because Beijing is China’s capital, but also because of the firsthand experience of Chinese culture and different study programmes available. All one needs to do is apply for the programme online from beginner to advanced learners. The programme is tailor-made to suit the needs of the learner whether it is for general or business life. If unable to attend the School in Beijing, Summer Chinese courses are available for students who are on summer vacations and are planning to make their vacation an opportunity to explore the Chinese culture. Learning a new language is never an easy task and sometimes, it can be very stressful. 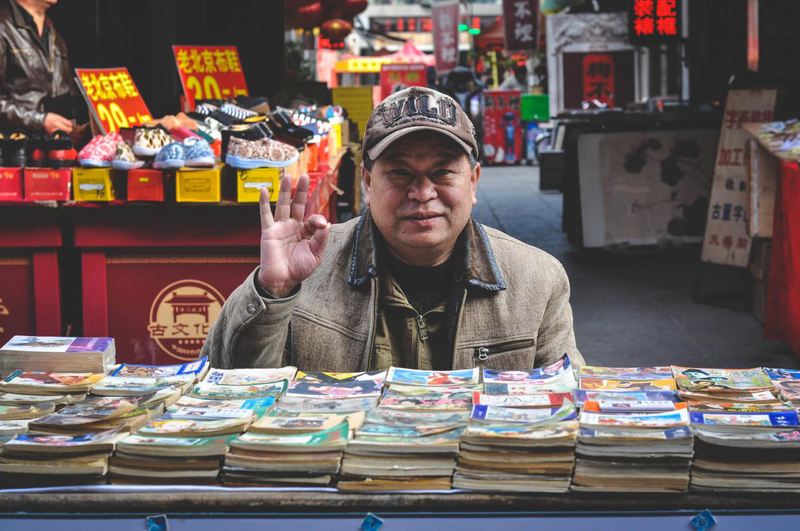 However, when you study Chinese, there are ways of making the course fun through videos, podcasts and social networking sites with Chinese friends. Bio: I'm Christine, I'm a journalist. I used to see the meaning of life in creating news so that people knew the whole truth. I tried to work promptly, impartially and qualitatively. 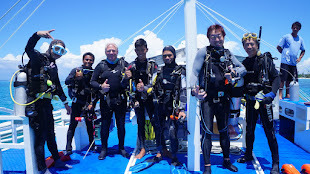 Now I'm writing a blog in which I describe my experience and knowledge. For example, the best essay topics you can found out on my site. I hope this will be useful to someone. 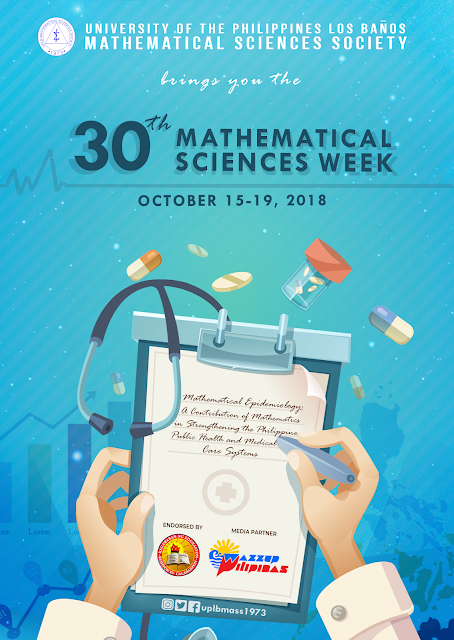 The UPLB Mathematical Sciences Society proudly brings you the 30th Mathematical Sciences Week (MathSci Week), with the theme, “Mathematical Epidemiology: A contribution of Mathematics in Strengthening the Philippine Public Health and Medical Care Systems”. This is an annual event of the society composed of a long-week celebration of knowledge and academic excellence. The MathSci Week will run from the 15th to the 19th of October 2018. 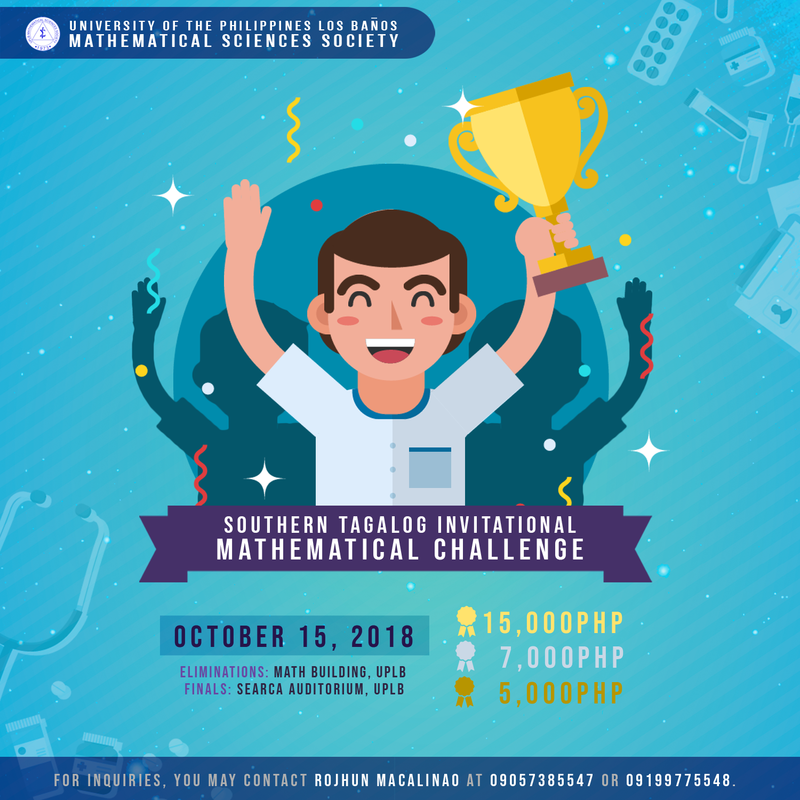 Part of the 30th MathSci Week is the 31st Southern Tagalog Invitational Mathematical Challenge (MATHEMATCH), which will be held on October 15 at the SEARCA Auditorium at the University of the Philippines, Los Banos. This is a Mathematics Quiz Contest for Junior and Senior High School Students from schools in the CALABARZON and MIMAROPA region. Also, The Annual Search for the UPLB Math Wizard will be held on October 18 at Math Building Lecture Hall in the University of the Philippines Los Banos. The winner will compete in UP Diliman for the The Annual Nationwide Search for the Math Wizard. During this week long event, different activities such as Puzzle of the day and Puzzle of the week, Teacher’s Seminar and Poster Making Contest will be conducted by the organization. An Exhibit at the Math Building Lobby will also be displayed in relation with these year’s theme. For more information, you may contact Rojhun Macalinao, the Vice President for Scholastic Division at execsec@uplbmass.org/ +639 057 385 547. The UPLB Mathematical Sciences Society (UPLB MASS) was established in 1973 and has been one of the duly recognized academic organizations in the University of the Philippines Los Banos since then. For over 40 years, the UPLB MASS, a recognized Youth Serving Organization (School Based) by the National Youth Commission, upholds its goals of contributing to the development of the Filipino Nation by cultivating deeper appreciation and wider application of Mathematical Sciences. The society continues to inspire and showcase the beauty of mathematics through different activities. 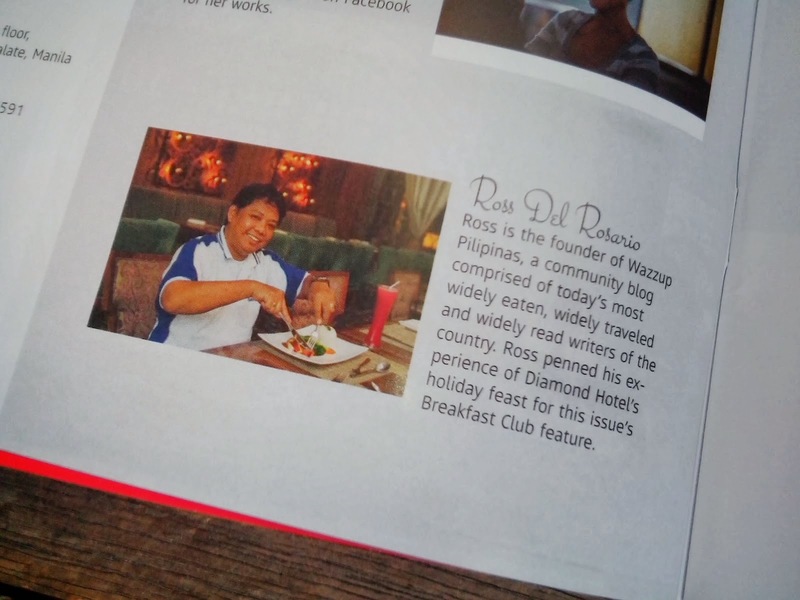 Are you looking for a food guide in Manila? Chances are you’re a student of the city’s numerous colleges and universities that offer education in a wide variety of degrees. Eating in Manila, which is one of the world’s top most densely populated cities with about 171,301 people per square mile, could be quite an adventure since restaurants and food joints are everywhere. Choosing the ones that won’t upset your budget could be tricky, but don’t worry, we’ve got you covered. In this guide, you’ll find affordable places in Manila to eat on a student budget as well as tips to remain safe and full. 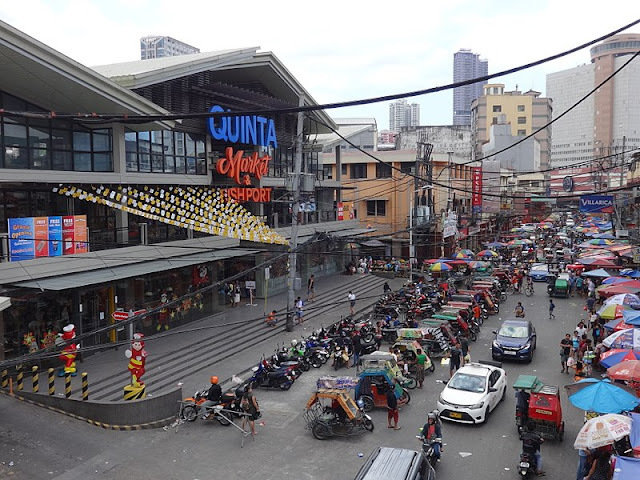 The Quiapo Market is one of the largest street markets in the whole country which is located in the area of the Quiapo Church. There, you’ll find a wide range of products from clothes to utensils, but what we’re interested in is food. You can find pretty much everything available in the Philippines, so it’s great for both finding ingredients and prepared dishes and snacks. The prices are set by haggling, so you’ll have an opportunity to negotiate prices you find reasonable. 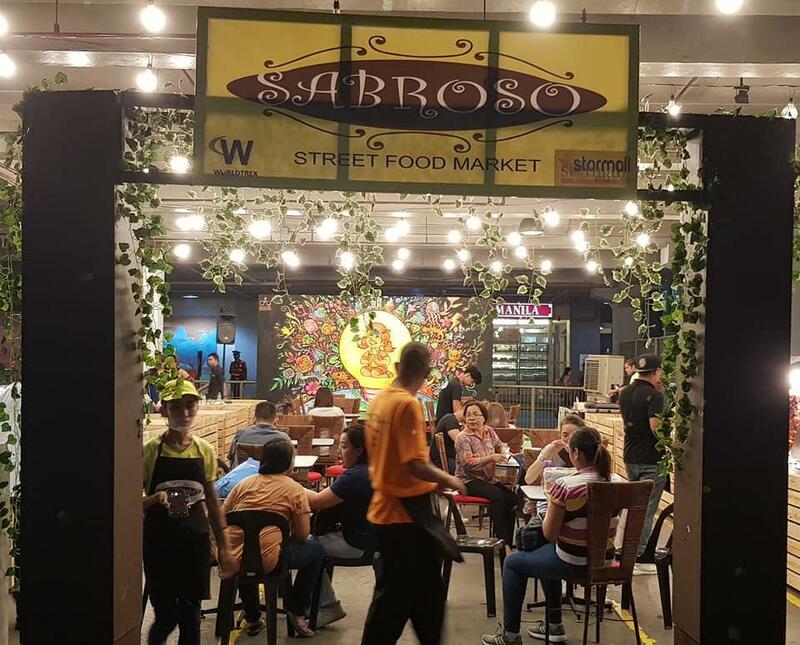 Sabroso is extremely popular among locals, so they often upload images of products to social media they take here (for example, check outphotos made at Sabroso by Instagram users). So if you’re looking to get some ingredients to prepare your own dishes or eats for cheap prices (the prices here are often set by bargaining, too), feel free to visit this market. Shopping malls are great occasional dining and movies, and Manila has a good selection of them. Robinsons Place, for example, is one of the largest shopping malls in the country located behind the campus of the University of the Philippines Manila. The place has an unbelievable food court which is even rated by Trip Advisor as #20 of 939 restaurants in the city. It has a great selection of different foods, including vegetarian-friendly ones, and offers affordable pricing. For example, you’ll find local, Chinese, Mediterranean, and other cuisines there: home-cooked meals, seafoods, fast food, grilled meat, and sizzling steaks. The court is popular among local students because of cheap prices and tasty food, so chances are you’ll have to wait for a seat during lunch hours. 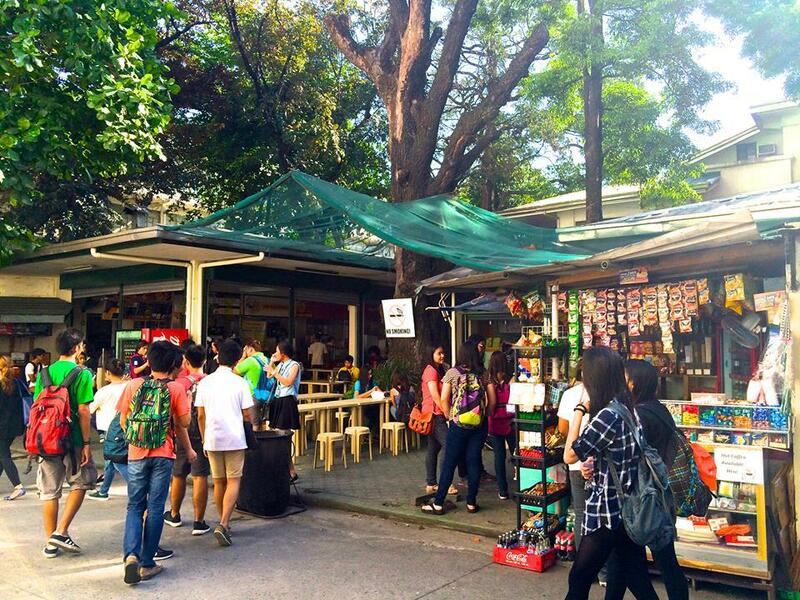 Basically, Agno is a just a group of food stalls and vendors that sell foods at under 100 pesos. But they have become incredibly popular among students of the nearby De La Salle University with a population of more than 20,000 learners. Agno has an official Facebook page where you can get fresh information about the place and even become one of the vendors. At Agno, you can get a variety of foods for cheap prices, including siomai (traditional Chinese dumplings), pastas, taco salads, grilled meat, burgers, and home-cooked meals. As it was mentioned above, prices at public food markets are often set by bargaining, so it’s time to learn this art. 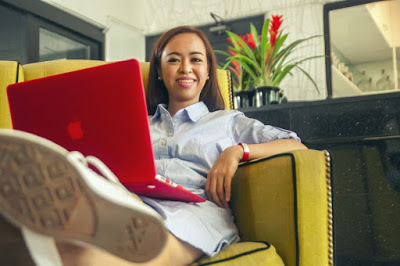 The cost of living for a student in Manila is lower compared to Western countries; for example, according to Expatistan, one person could comfortably live for about $600 per month (rent included). However, this doesn’t mean that you should buy yourself coffee every time you stumble upon a Starbucks, because the cost could rise rapidly. If you like cooking, you’ll love living in Manila because of all the public food markets. The ones described above are just a small part of what the city has to offer, so feel free to search for marketers in your area. They offer lower prices for groceries than most supermarkets, so buying there could be a great option to save money and still enjoy delicious, home-cooked meals. It’s easy to accumulate a large amount of debt using credit cards, so try to pay for everything with cash. This will help to avoid overspending. In line with the country’s celebration of the Peace consciousness Month and in observance of the international day of peace, Sigaw ng Kabataan Coalition, an independent non-partisan national alliance of young leaders and youth organizations in the Philippines, together with the Rotary Satellite Club of Fort BGC Titans, Rotary Club of Fort Bonifacio Global City holds the Philippine Intercultural Youth Convention (PIYC) 2018, with the theme “Breaking Cultural Barriers, Empowering Young Leaders,” on September 22-23, 2018 in Great Eastern Hotel, Quezon City. 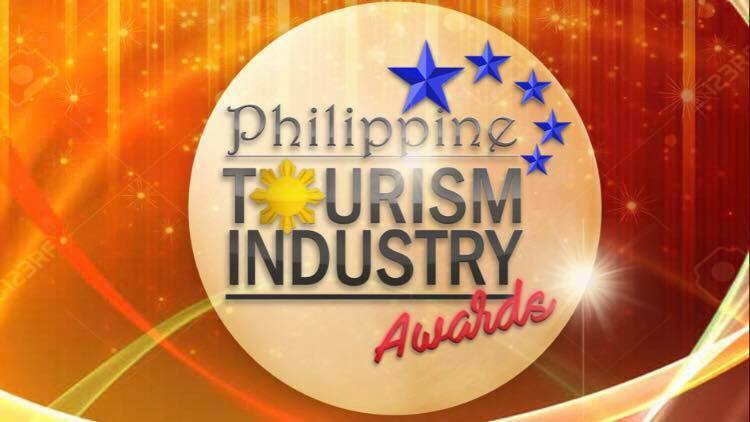 Other distinguished speakers include DOLE Undersecretary Ciriaco Lagunzad delivering the message of President Rodrigo Duterte and DOLE Secretary Silvestre Bello III, Commissioner Teddy Co of the National Commission on the Culture and Arts, Director Mary Grace Pascua of the National Commission for Indigenous Peoples, Irish Inspirational Speaker and Best Selling author Mike Grogan, Landbank Director JV Hinlo, and Past President Oliver Alvarez of the Rotary Club of Manila Magic. PIYC 2018 provides an opportunity for different ethnic groups in the Philippines to exchange knowledge of their culture and heritage, and for young leaders to engage and have a close encounter with government officials and experts in various development fields. The convention had six sessions which discussed the youth’s developmental priorities based on a national survey done by SKC in 2017. These includes Peace in Diversity with Ms. Jasmine Suleik of the United Nations Youth Advisory Board Philippines and Mr. Elmer Albacete of the AFS Intercultural Programs Philippines as speakers, moderated by SKC Sultan Kudarat Governor, Mr. Kaharudin Gumaga Dalaten. The Health and Social Welfare session had UN Youth Advisory Board Ph Chairperson Neil Lomibao, Dr. Dexter Galban National Chairperson of the Philippine Society of Health Advocates for Policy Engagement, NVAP President Engr. Emer Rojas, and DOH Director Dr. Rodolfo Antonio M. Albornoz as speakers. Speakers for the Quality and Accessible Education for all session are DSWD Assistant Secretary Rhea Penaflor and Commission on Higher Education Director Joselito Alisuag. In-hand Abra Foundation Executive Director Carmelita Bersalona shared about youth opportunities in the bamboo industry while Mr. Rodne Galicha of the Climate Reality Project PH and Mr. Vermon Timbas of the DENR-EMB spoke during the Climate and Environmental Action session. “We need to be united to be able to do actions that will result to beneficial permanence. 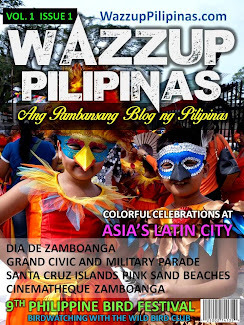 Let us unite by promoting better understanding of the various cultures in the country. By breaking these cultural barriers which hinder growth in our communities, starting among the youth, we are empowering our people and helping the country’s efforts towards the achievement of the UN Sustainable development goals,” he added. Focused on discourses in culture and sustainable development, PIYC 2018 unifies the Filipino youth to define its role in building a better future while remaining rooted in Filipino heritage. The convention was organized in partnership with the Department of Social Welfare and Development, Department of Labor and Employment, AFS intercultural Programs Philippines, and the Korean Cultural Center. And supported by SKC’s advocacy partners, the Rotaract Clubs of Fort Bonfacio Global City, San Francisco Del Monte Malaya Achievers, and Zamboanga City West, and the GANAP QCPU. The network consists of a hardware and software system for performing work on the creation of computer networks to allow the communication between computers. Therefore, there is a need of engineers who can understand the network hardware and software systems. Cisco is a company that provides hardware and software components for a networking system. Hence,it becomes necessary for engineers to be trained in network systems and system operation. Such a training program conducted by Cisco is known as CCNA or Cisco Certified Network Associate. This is the associate-level certification that it is regarded as a Cisco career credential. The candidates who want to achieve the Cisco CCNA R&S certification should pass the certification exams. These tests are designed to show the knowledge, skills, and ability of individuals. The networking engineer needs such skills as network installation and operation of the network of different varieties. The maintenance is an important function when the candidates need to troubleshoot problems with a small and corporate network. The candidate must know the routing and switching system and their basics. A network engineer must implement a network security and authorization system that supports the security of IP addresses and network protocols. The engineers should understand the TCP/IP and OSI models used in IP-based networks and systems. There are various WAN technologies whose operation and configuration of ISO devices are known. VLANs are used in an enterprise system with advanced dial-up networks that define IP routes and traffic management systems using an access list. 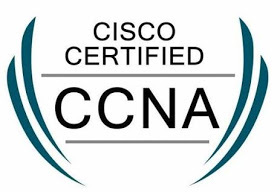 The CCNA Security certification exams are provided in the areas of networking fundamental, LAN and WAN technologies, software and hardware of network system, security and management of the system, and wireless technology. The examinations dumps provided by prepaway.com check the ability of candidates to work on the networking technology such as design of network, hardware construction, software system and security, maintenance and testing of the network system. The field of the networking is developing rapidly because the employers are interested in recruiting the certified engineers for such advanced technologies as wireless networking, security, administration, cloud computing, data center establishments, etc. Therefore, the CCNA R&S tests have the questions relating to these areas. The following certification exams offered by PrepAway CCNA Certification Practice Test 200-125 Exam Questions and Answers are associated with the CCNA Security certification. An individual should take one of them to become a certified specialist. You can pass the exam with dumps & training courses. 200-125 CCNA: This examination contains 60-70 questions and lasts 90 minutes. It measures the individuals’ knowledge and ability associated with network fundamentals, WAN and LAN technologies, IPv4 and IPv6 routing technologies, infrastructure security, services, and management. 100-105 ICND1: This certification test is an hour and a half exam with 45-55 question assessment. It verifies the skills and knowledge of candidates related to infrastructure maintenance and services, network fundamentals, LAN switching technologies, and routing technologies. 200-105 ICND2: The exam consists of 45-55 questions with a time duration of 90 minutes. It confirms that an engineer has the knowledge and skills associated with IPv4 and IPv6 routing technologies, infrastructure maintenance, infrastructure services, WAN and LAN technologies. The exam passing score is not published by Cisco since the examination questions change without notice. Undoubtedly, the candidates with the CCNA R&S certification can hope for a bright future in such advanced area as networking. The individuals who have earned this credential, can declare themselves as highly qualified professionals.Therefore, those candidates who pass the CCNA R&S exams will receive excellent job opportunities with a high pay hike. The average salary of the CCNA R&S certified specialist ranges from $260,111 to $ 921,142. 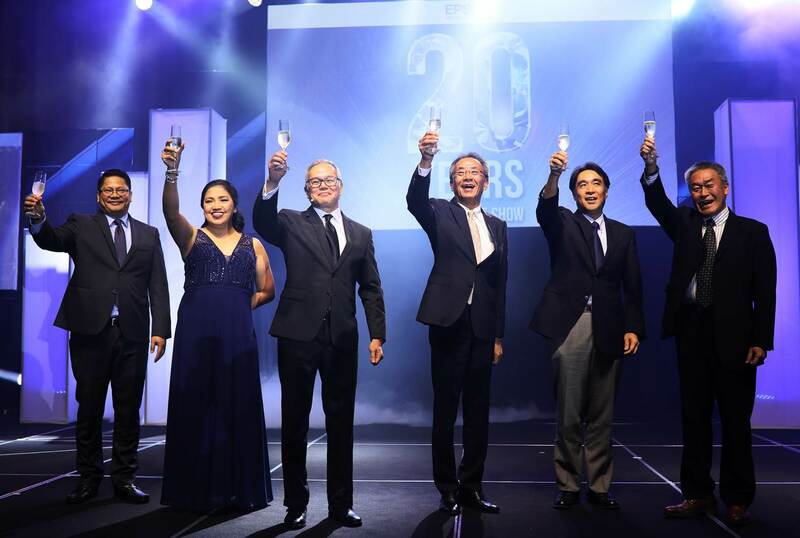 Epson Philippines Corporation (EPC) celebrated today its 20th year anniversary at the Grand Ballroom of the Grand Hyatt Hotel in BGC, Taguig City. 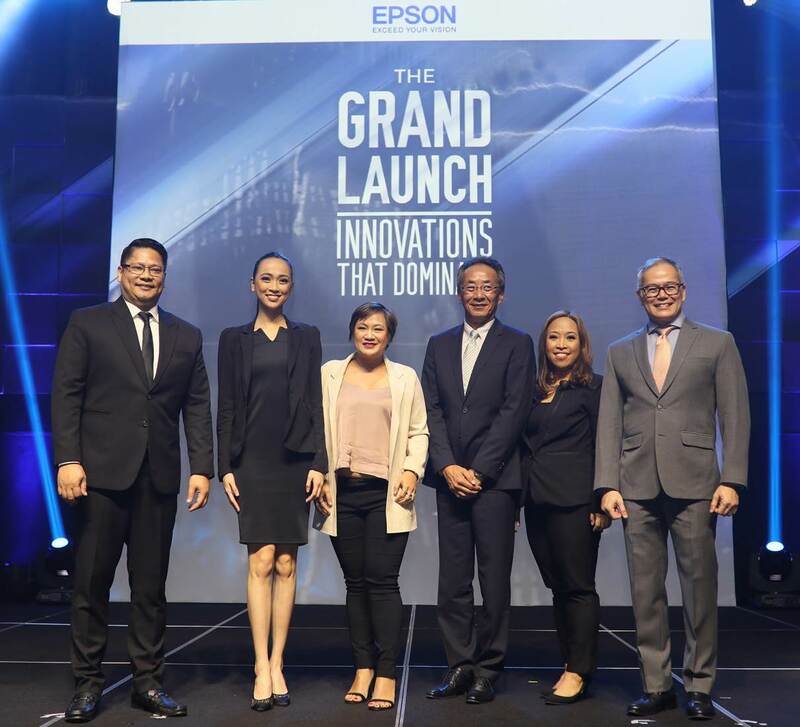 On its 20th anniversary celebration, Epson Philippines expressed its commitment to strengthen its presence in the business and office segments in the country. Eduardo Bonoan, marketing director for Epson Philippines, shares that customers can only expect greater things from the brand for 2018. 20 years on, Epson continues to dominate in the highly competitive inkjet printer and projector industry. In the first half of 2018, Epson’s inkjet printers posted a market share of 55%, as reflected in the latest Hardcopy Peripherals Report of marketing intelligence firm International Data Corporation (IDC). On the projector business, the latest FutureSource Projector Report showed that Epson continued to lead with a 55% market share in the 2nd quarter of 2018. To sustain this growth, Epson Philippines continues to launch inspired innovations for customers, starting with the branding of its flagship L-series printers to Epson EcoTank printers. The EcoTank brand successfully aligns Epson Philippines with the rest of the Epson markets around the world, and carries the brand’s same inkjet legacy of offering quality printouts with more value for money in a refillable tank printer. 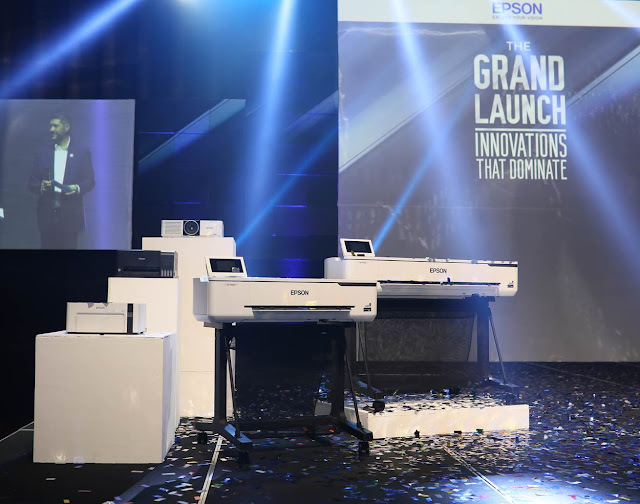 Along with the branding of its L-series inkjet printers, Epson Philippines also introducedits new high-speed T-series large-format printers available as desktop or floor-standing models, marking Epson’s entry into the low-to-mid range CAD plotter market. As the company marks another milestone, Epson Philippines dedicated its celebration, dubbed as20 years Leading the Show, to express its gratitude to customers, trade partners, employees, and stakeholders for their continued support over the past two decades. 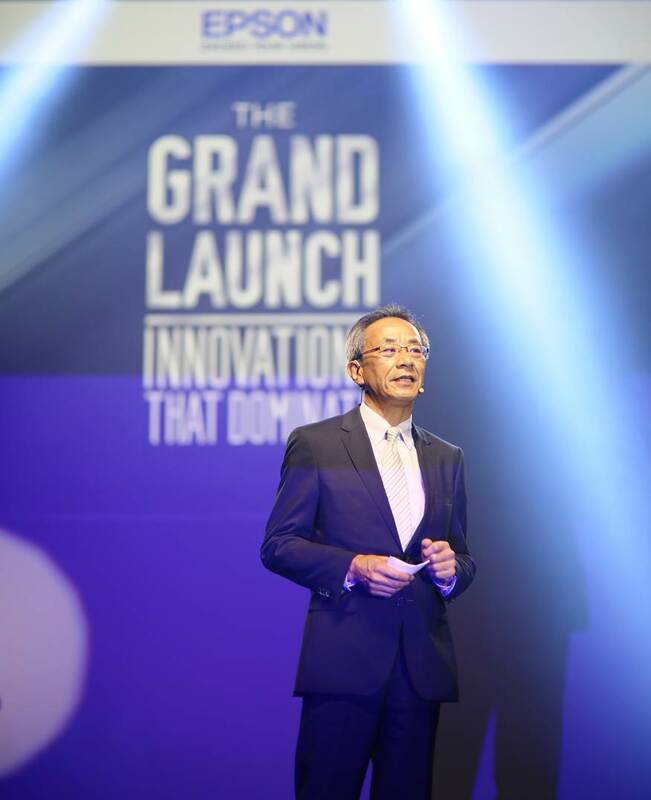 Among the highlights of the celebration was the recognition of Epson’s extensive partner network which includes its sales and service partners, as well as business support service providers who have worked with Epson for 20 years. Epson employees, who have been in service for five, 10, 15, and 20 years, were also given awards and recognition during the event. Since its inception, EPC has introduced various products, services, and solutions to the Philippine market. With its obsession to detail and ability to create new products and technologies from the ground up, it has become a trusted company that offers the latest cutting-edge printers and projectors for various market segments. The company has also expanded its presence nationwide, especially with the opening of its solutions offices in Cebu and Davao. It also has an extensive network of 137 Authorized Service Centers, 465 dealers and 875 stores across the country. From L-R: Cris Sanchez, EPC Sales Director; Juliet Real, EPC Business Support Director; Eduardo Bonoan, EPC Marketing Director; Toshimitsu Tanaka, ESP Managing Director and EPC President and Country Manager; Akifumi Takei, Epson Precision Philippines, Inc. (EPPI) President and Hideto Nakamura, Epson Vietnam General Director and former EPC President lead the toast during Epson Philippines 20th anniversary celebration at the Grand Hyatt in BGC. Epson Philippines unveiled its latest innovations to its trade partners and the media as it holds this year’s ‘Grand Launch: Innovations that Dominate’ at the Grand Hyatt Hotel in BGC, Taguig City. Starting from the new business laser projectors, the EB-L510U, EB-L610U, and EB-L610W deliver bright and true-to-life colors thanks to Epson’s 3LCD technology. This series of laser projectors have a brightness range of 5,000 to 6,000 lumens. They also come with the WUXGA feature, which has a display resolution of up to 1920x1200 pixels perfect for larger screens. These new laser projectors are also compatible with a wide range of external devices. The additional ports, which now include HDMI and HDBaseT™ Connectivity, are ideal for large venues, may it be in large classrooms or meeting rooms. The HDBaseT™ can transmit Full HD video, audio, and control at low cost through a single cat 5e/6 cables or higher, up to 100 meters. 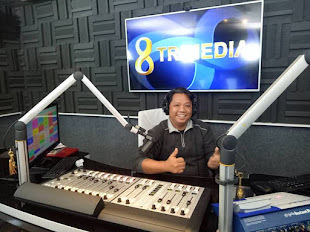 These features provide a better and more efficient viewing experience for the users through its seamless connectivity and usability. The Epson L3110 and L3150 printers have an integrated ink tank design that comes with a spill and error-free ink refilling process and produces a smaller carbon footprint compared to its predecessors, L405, L360and L80 models. They are also more compact while boasting an ultra-high page yield of up to 7,500 pages of color printouts, as well as up to 4,500 pages of black printouts. The L3110 and L3150 printers also have borderless printing of photos of up to 4R size. 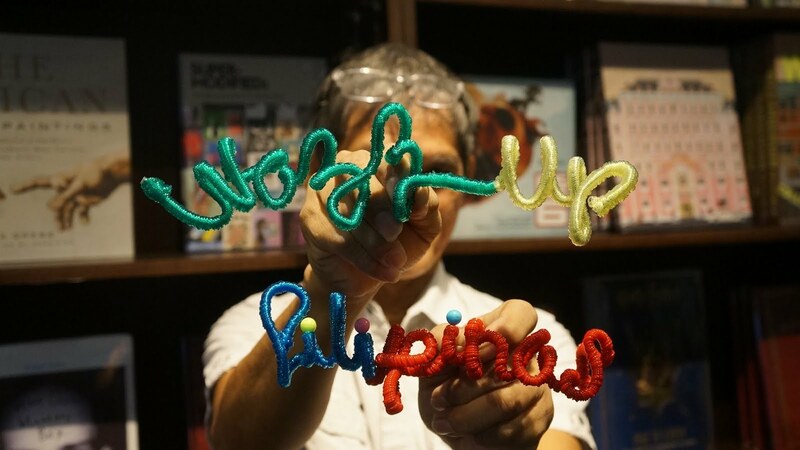 As the world continues to veer away from the use of plastics in exchange for more eco-friendly alternatives, foodpanda, the on-demand food delivery service in the Philippines, continues its #GoGreen initiative by partnering with the World Wide Fund for Nature (WWF) Philippines, the 26th national organization of the WWF network, for its #AyokoNgPlastik movement. The movement aims to combat the over usage of single-use plastics in the day to day lives of people by encouraging the use of more sustainable materials. ”This partnership with foodpanda against the use of single-use plastics - the first food delivery service to join us in protecting the environment. Together with foodpanda, we will continue to paint the world green (and pink),” shares President of WWF-Philippines, Jose Angelito Palma. Offering more expediency to its patrons, the Araneta Center BusPort (ACBP) has partnered with GCash to add another convenient mode of payment: GCash’s “scan to pay” technology. Passengers will just have to download the GCash application on their smartphones, register an account and deposit an amount on their digital wallets at any of GCash’s 15,000 partner outlets in the country. They will then just have to tap the “Scan QR (quick response)” code option on the app, point their camera to the QR code available at the ACBP, and pay. This new option is a testament to Araneta Center’s commitment to making the lives of its patrons more convenient. With another seamless payment scheme available, ACBP passengers who use this option no longer have to go through longer lines and bring large amounts of money to purchase their tickets—safe and practical. “Araneta Center is always looking for opportunities to make it more convenient for our mostly young and digitally-savvy customers. GCash provides a powerful and convenient payment method for them to transact on the fly. We are now able to offer another seamless and efficient cashless payment platform with the use of QR code for over-the-counter transactions in our BusPort,” said John B. Castelo, Araneta Center Inc.’s Senior Vice President for Business Development, who, along with other Araneta Center bigwigs, attended the launch at the ACBP last July 31. “The GCash QR will enable the Araneta Center BusPort to service its customers with convenient, secured and seamless payment experiences. For instance, with the GCash scan to pay feature at ACBP, customers can easily pay the exact amount for their tickets using their phones. They no longer have to wait for loose change, or even stand in line for a long time,” added Anthony Thomas, President and CEO of Mynt, the operator of GCash. The new payment option also cements ACBP’s reputation as a one-of-a-kind premium bus terminal in the country. Boasting of first-rate facilities, reliable security, updated announcements and information, the ultramodern ACBP is the central stopover of those going to and coming from Central Luzon, Southern Luzon, the Bicol region, Visayas, and Mindanao. Last June, it started offering to its patrons the availability of booking their trips online and payment of their tickets through their credit cards. For more updates, visit www.aranetacenter.net and follow our social media pages: @aranetacenter on Facebook and Twitter and @thearanetacenter on Instagram. What is a weekend without a bit of action and adventure? The only thing better than a jam-packed weekend full of exciting plans is one without any plan at all. With incredible advances to home technology, binge watching or trying out that new game console is now smarter and more efficient than ever. 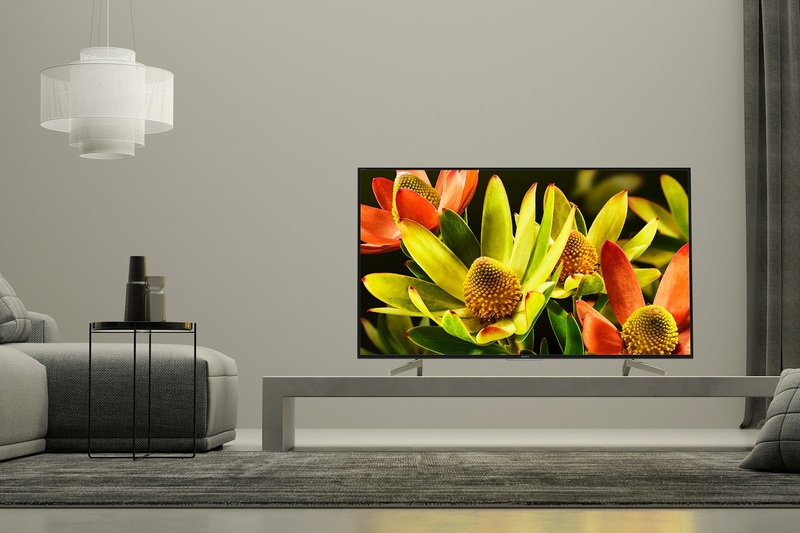 Adventure is right at the tip of your fingers as the Sony BRAVIA 4K TVs take you to a TV viewing experience in a whole new way. Just imagine its top-of-the-line picture quality, sleek design, its powerful sound technology, and advanced Android TV function. You just can’t help but be ready, get set, and binge. Watching movies and series are one of the biggest entertainment sources for anyone looking for amusement. 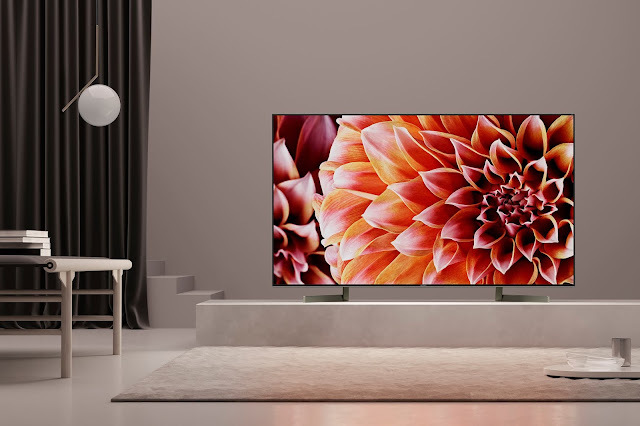 Get inside the realms of your favorite movie or series as the future of picture quality with the ultimate brilliance of 4K clarity brings you inside its world and transcends reality. 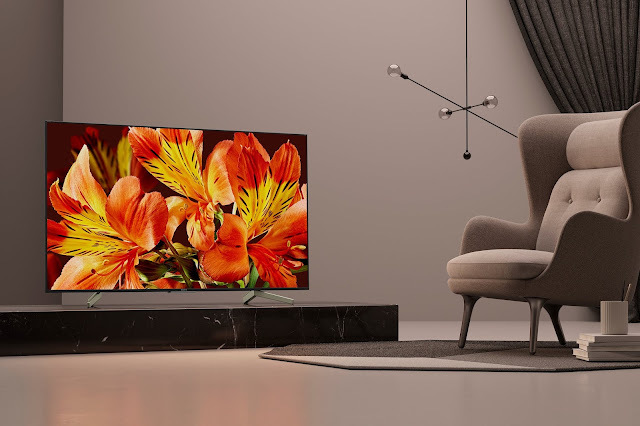 With a well-built sound system that plunges you right into action, your binge-watching tendencies will never be the same again, as the BRAVIA TVs elevate your cinematic experience. With you on the best seat in the house, you can dedicate a blissful time of your weekend to simply sit back, relax and enjoy the show. Let’s be honest, when it comes to gaming, it is a vicious cycle of play-sleep-play-repeat. Upgrade your game night with friends as you battle out the throne for the next weekend gaming warrior. The BRAVIA 4K TV experience makes a world of difference for your full gaming potential. 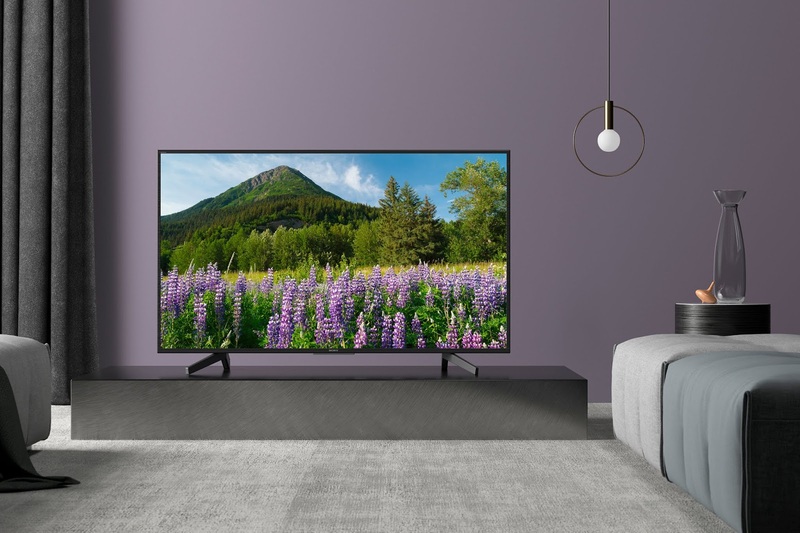 The range of BRAVIA TVs provide the essential elements of an ideal TV for gaming that is also future-proof and allows you to maximize its use. Try on the game mode that would better accommodate picture processing to keep up with the rapid demands of your video games. Watch your favorite sports games in style with the BRAVIA 4K TVs, as it uncovers every detail of a swing, a dunk, or a kick in clarity with the features of an HDR TV. 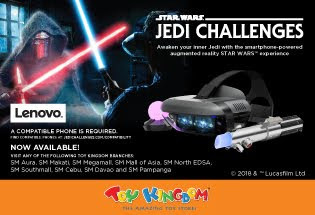 It is an all-around winner with the flawless picture quality thanks to pro-level calibration and a crowd-pleasing audio output that would make it seem like you are at your favorite arena. Go beyond the action and immerse yourself with a whole new experience by optimizing your picture setting that is best for sports. 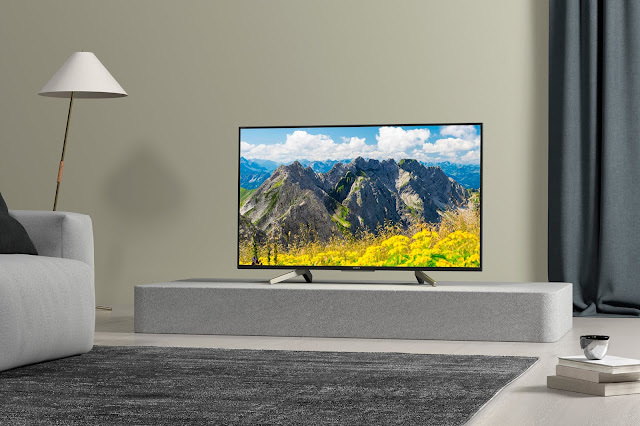 Choose your own adventure and maximize your weekends at the comfort of your own home with the Sony BRAVIA 4K TVs. Whether it’s a carefully-curated set of gems for the selective music geek or a spontaneous mix of familiar bops anyone can jam to, a good playlist can spell the difference between a boring commute and a fun one, an awkward gathering and a memorable party. While constructing your own one-of-a-kind musical collage can be fun, the sheer range of choices on everyone’s favorite streaming platform can make it difficult to know where to start. Not to worry though, because Debit Mastercard has come up with starter packs to set you off. Go over these mini-playlists and add your own to create the ideal mix. You can use your Debit Mastercard to avail a Spotify Premium 60-day Free Trial, and enjoy its ad-free, offline listening features from now until November 15, 2018. On the road. Trips to the beach or Tagaytay often take us through charming scenic routes and long, open highways. Roll down your windows, let the breeze in, and remember that getting there is always half the fun! Song Suggestions: Tears for Fears’ classic hit Everybody Wants to Rule the World, Carly Rae Jepsen’s saxophone-laden pop confection Run Away With Me, and Chance the Rapper’s jubilant rap hit No Problem. The Dad Jams. Admit it—we all steal from our dads’ playlists sometimes. With a sizeable collection of old records and greatest hits albums to dive into, you (and dad) will have no shortage of groovy tunes to sing along to. Song Suggestions: Earth, Wind & Fire’s That’s the Way of the World has a seriously addictive rhythm, while The O’Jays’ Darlin’ Darlin’ Baby (Sweet, Tender, Love) is one of those songs everyone has heard at one point and loves instantly. Guilty pleasures. You may be a tad embarrassed (just a tad!) to reveal these songs as part of your playlist, but they’re there, and you know every single word to each. Song Suggestions: Bop to Britney Spears’ instantly recognizable Toxic, and channel your inner karaoke queen/king with classics like The Bangles’ Eternal Flame and Mariah Carey’s We Belong Together. Hangout and chill. Order a pizza, pair with your favorite beverage, and unwind with your friends with a playlist that sets the night’s relaxed, easy tone. 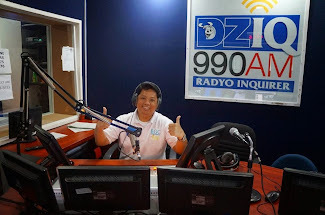 Song Suggestions: SZA‘s beautifully-layered R&B record The Weekend, Daniel Caesar’s sweet, slow Get You, and pop rock sensation UNIQUE’s fresh and catchy OZONE (Itulak ang Pinto). Work it out. Pair your workout sessions with a playlist that goes hard. Catchy, energizing tracks help set your pace and push you to finish strong. Song Suggestions: That beat on Kendrick Lamar’s HUMBLE just makes you want to lift three times your body weight. Migos’ Stir Fry and Kanye West’s aptly titled The New Workout Plan will have you spinning or running the treadmill. The Philippine Postal Corporation (PHLPost) opened its newest Postal Counter at SM Government Services Express (GSE) South Mall Las Pinas last Friday, September 21, 2018. SM South Mall and government agencies’ representatives led the opening of the GSE. This is a scheme to extend the government services to the citizens and taxpayers. Government agencies including PHLPost will now be more accessible from 10:00 A.M. to 9:00 P.M. daily in the said mall. PHLPost and ensuring that its varied services will be made accessible to consumers of the said mall. 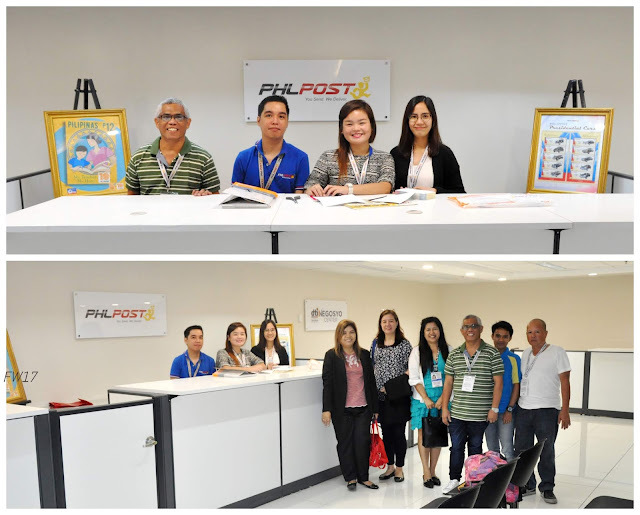 The 10th Postal Counter as of date is located at Lower Ground Level, near Casa Medica, SM SouthMall, Las Pinas. The National Bureau of Investigation (NBI) arrested nine people caught producing and selling fake government-issued IDs such as Land Transportation Office (LTO) driver’s licenses and other documents during a series of entrapment operations this month. Acting on a report by the LTO, NBI agents of the Anti-Graft Division (AGD) conducted its first entrapment operation along C.M. Recto Avenue in Manila last September 12. The operation revealed that government IDs and other public documents were being falsified in plain sight. 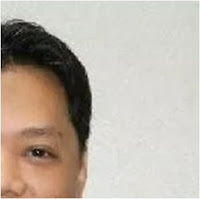 An undercover NBI-ADG agent was approached by a certain Paul Cabrera, who offered falsifying an LTO drivers’ license for PhP1,000 and a Philippine passport for Php3,500. An entrapment operation immediately ensued and search warrants were served. Eight were arrested, namely Dexter De Guzman, Roger Benitez, Arlene Dela Cruz, Mary Grace Trajano, Joshua Pascua, R-Jay Mercado, Samuel Dolendo and Susan De Guzman, who were caught in the act of manufacturing fake IDs and documents. The NBI also seized paraphernalia such as computer sets, printers, scanners, laminating machines, and dry seal, among others. They were brought to the NBI Headquarters in Manila and were charged for violation of the “New Passport Act of 1996” and the “Land Transportation and Tariff Code”. The raiding team conducted another operation in a compound along Recto Avenue on September 19 in the presence of barangay officials. The team confiscated 342 fake LTO license cards, 23 LTO license official receipts, 65 blank LTO license official receipts, 370 blank PVC cards, and 1 ID card cutter. The compound, which is owned by a Minda Delos Santos, is being rented by a certain “Jong” and “Jennifer”. They will be charged for multiple counts of violation the “Land Transportation and Tariff Code.” Barangay officials will also be investigated by the NBI for possible administrative or criminal liability for their failure to prevent the proliferation of these illegal activities in their jurisdiction. LTO Chief Edgar Galvante expressed his gratitude and support to the NBI and the Department of Interior and Local Government for bringing the perpetrators to justice. 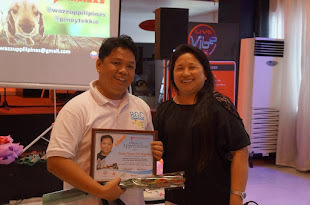 Certificates of Appreciation were given out to all NBI personnel involved in the operation. 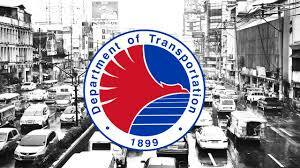 “Along this line, the LTO will support and rally behind the DILG on any legal action that he may initiate against barangay officials who deliberately tolerate the existence of business establishments engaged in the production of fake documents,” wrote Galvante in a letter addressed to DILG Undersecretary Martin Dino.